Well, maybe. I don’t know a lot about how Lenticular clouds form, but the cloud shown here, at Reflection lakes, turned into one shortly after. In September of last year I drove through Mt. 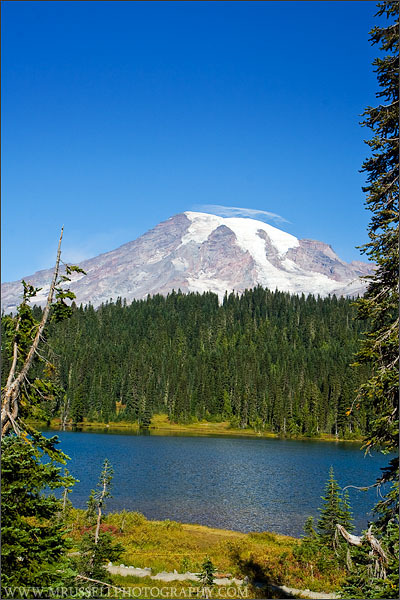 Rainier National Park from Longmire to Sunrise. 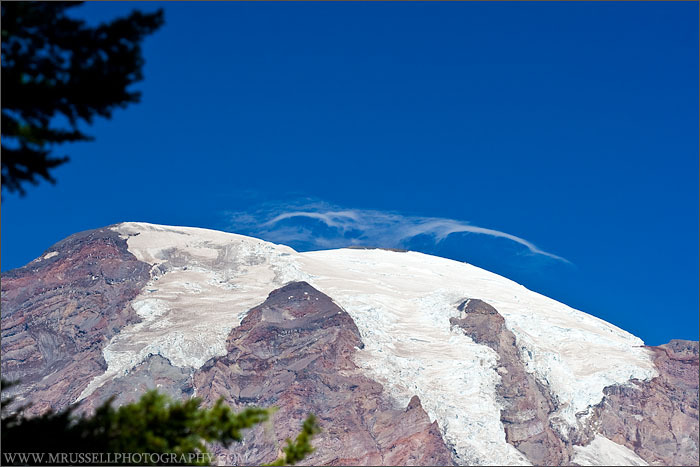 When I left Sunrise the Lenticular cloud was hovering over Mt. 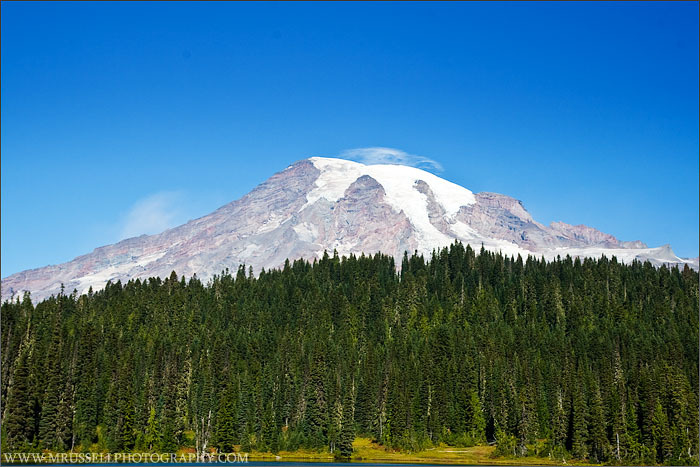 Rainier like a pancake, but you’ll have to wait a few days until that picture surfaces here. A cliffhanger!